Great little board so far! Tons of features packed onto it and the connectors are in smart places for using in a small case. 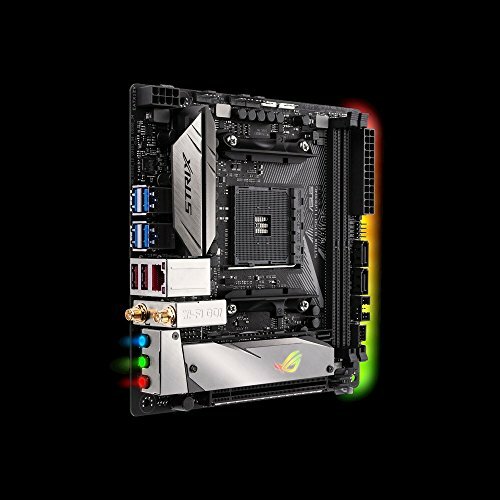 I've only OC'd on Asus ROG Strix boards so far, but they've all been easy and seem to have good power delivery. Will eventually move my R5 1600 to this rig once the new gen comes out. Everything works. Took a star off for the stupid placement of the audio connector. 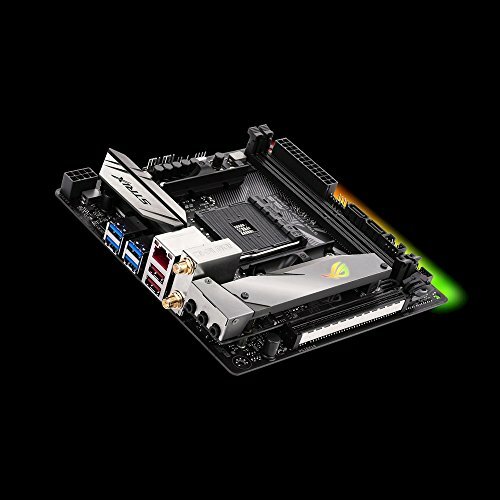 from completed build Mini ITX 1080p Gaming Build w/ Ryzen! 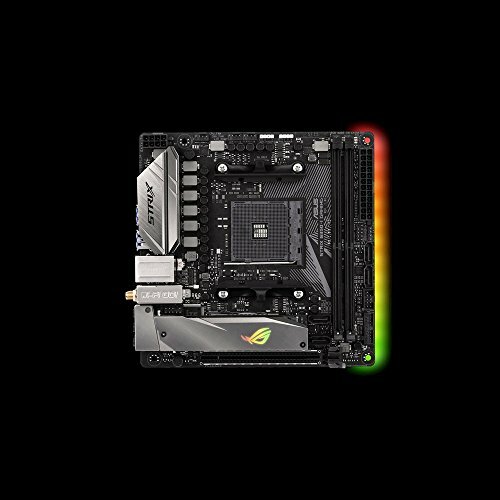 Great layout for an mITX Ryzen motherboard, in fact I think its the best on the market. Seems to perform very well. The fact you can run 2 M.2 drives is great (unsure how this might affect heat in an mITX build though). The RGB effects are great, and Aura seems to sync with all my other parts seamlessly. Overclocking has been pretty rock solid for me too. My only issue is my wifi seems to be super weak (aerial needs to be beside the modem or phone to even work) but I might have a faulty aerial - I need to test this further. 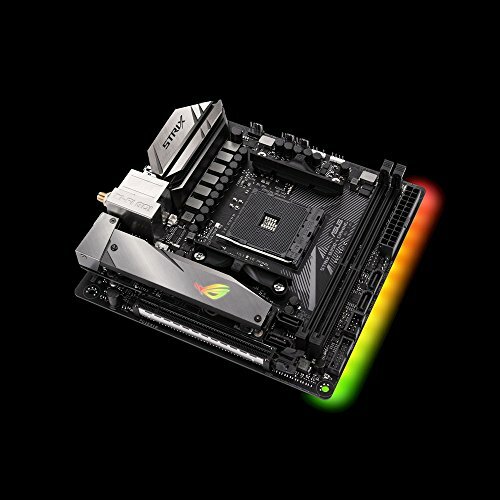 Overall, its one of the more expensive mITX motherboard choices out there for Ryzen users, but if you can find it for a discount now with the second gen Ryzen coming out then I highly recommend it.